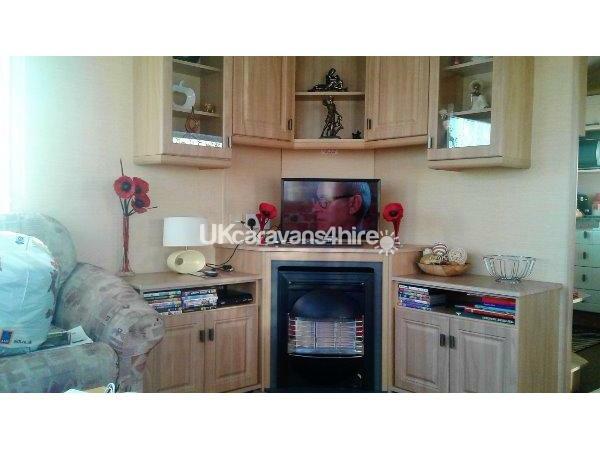 Additional Info: Gold standard luxury 8 berth static caravan to hire/rent on Ty Mawr, North Wales. The lounge area is very spacious and includes TV with freeview and a separate DVD player and a selection of family games and books. WiFi is free in the Boathouse Restaurant but you can also connect to the parkwide wifinity service for a small fee dependent on the number of days and number of devices you want to connect. 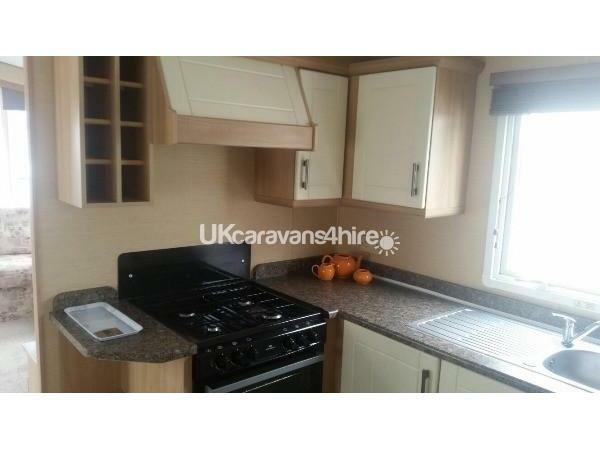 The kitchen area has a full size cooker, microwave, toaster, filter coffee maker, fridge freezer and a good selection of pots and pans and cooking utensils and cleaning materials. The dining area is opposite the kitchen allowing for easy access and crockery and cutlery are supplied. There are three bedrooms, one with a double bed, two with twin beds and a pull out double bed in lounge. All bedrooms have wardrobe and drawers for storage and beds will be made up for your arrival (apart from the pull out). There is a bathroom with shower cubicle, toilet and hand basin and another with a second toilet and sink. Please bring your own towels and tea towels. Ty Mawr Holiday Park is part of Park Resorts so is very well maintained, secure and clean with facilities such as a launderette, Nisa shop and an arcade suitable for all ages. It is well situated for nearby beaches, funfairs and a large car boot sale / market. Ideally placed for exploring North Wales and Snowdonia National Park and very family friendly. Happy to accept breaks other than dates advertised, for example, Thursday to Sunday or Saturday to Saturday.